If you’ve been waiting for the third season of Treme, you’re going to have to wait awhile longer. HBO has delayed the show’s return until sometime in the fall. The past two seasons of the David Simon series have kicked off in April. Treme follows the efforts of New Orleans residents to rebuild their neighborhood in the wake of Hurricane Katrina. The cast includes Clarke Peters, David Morse, India Ennenga, Jon Seda, Khandi Alexander, Kim Dickens, Lucia Micarelli, Melissa Leo, Michiel Huisman, Rob Brown, Steve Zahn, and Wendell Pierce. No specific reason has been given for the delay. However, HBO recently cancelled other TV shows that usually air in the fall (Hung, Bored to Death and How to Make It in America) so, they may be holding Treme to help fill the autumn timeslots. 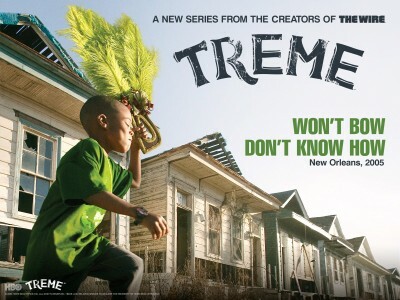 Treme was renewed for season three back in May 2011 and the 10 episodes are currently in production. What do you think? Are you sorry that season three has been delayed? Is it worth the wait? Will you be tuning in this fall? More about: Treme, Treme: canceled or renewed? emergency situations, this program has given the public much despite hurdles. I loveTreme. Great story line and music. I will also be waiting. I love this show! This show brings home to me. Yes I will be waiting impatiently to start watching Treme again this fall, but I do wish it was starting much earlier!